Remember how angry you were when you heard that Uber was pulling out of Singapore? Now it’s time for sweet, sweet revenge. The Competition and Consumer Commission of Singapore (CCCS) has fined both companies a total of $13 million for their move. Grab was fined $6.42 million while Uber was fined $6.58 million. And to add to the good news, CCCS has instructed Grab to retain its pre-merger pricing algorithm. This means we could enjoy lower fares in the near future since fares have increased by up to 15% since the Grab-Uber merger in March. CCCS said the penalties were imposed to “deter completed, irreversible mergers that harm competition”. And regular private hire car passengers know that competition has indeed been harmed. And then there was the issue of exclusivity. Grab has imposed exclusivity obligations on taxi companies, car rental partners as well as some drivers. This prevents competition by making it difficult for competitors to scale and expand in Singapore. CCCS has instructed Grab to remove such arrangements with taxi fleets. Grab will also not be able to buy Lion City Rentals or its vehicles from Uber without CCCS’ permission. The car rental company is a subsidiary of Uber. 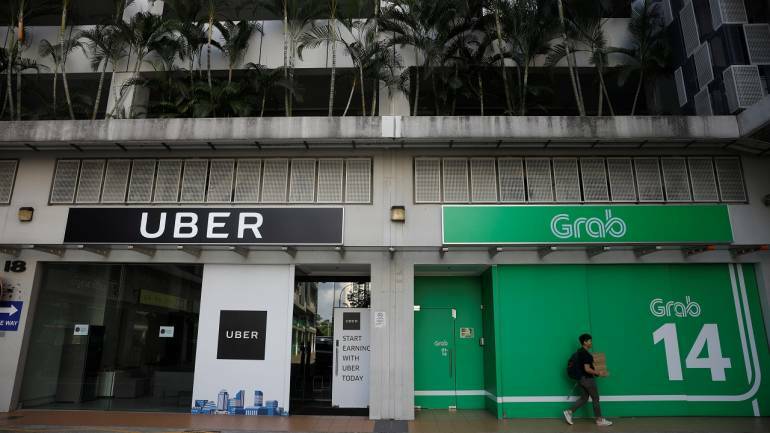 Mergers that substantially lessen competition are prohibited and CCCS has taken action against the Grab-Uber merger because it removed Grab’s closest rival, to the detriment of Singapore drivers and riders.